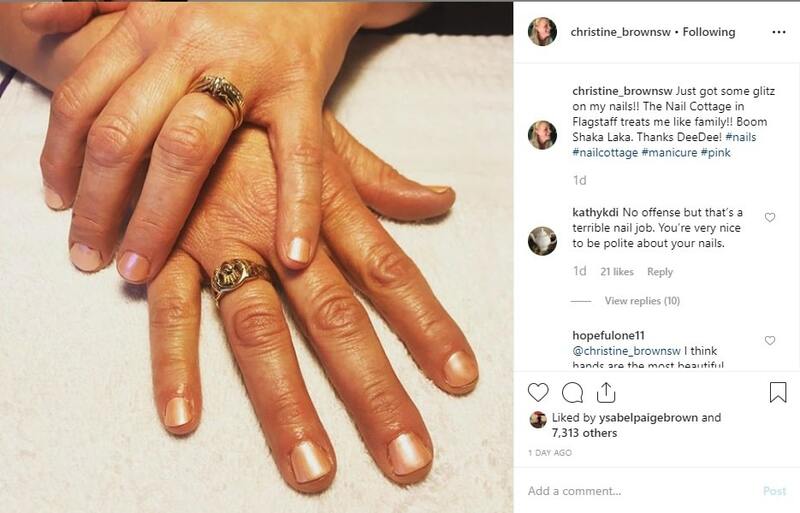 Sister Wives star Christine Brown posted a photo of her manicure recently but it also draws attention to a ring that has special meaning. Kody Brown’s wife raved about the way her nails looked with a bit of “glitz” about them. But there’s more than her nails sparkling in the photo. 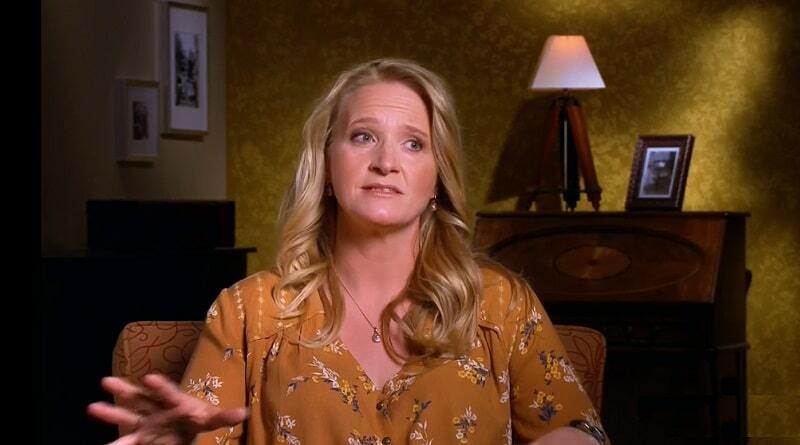 Sister Wives: What Does Christine Brown Have on Her Finger? She said nice things about her nails, along with the folks who did her nails. But while Christine Brown showed off her newly sculpted nails her Claddagh ring jumped out. Kody Brown’s four wives talk about these rings throughout the Sister Wives seasons, as each has one. The Claddagh ring is an Irish version of a wedding ring. 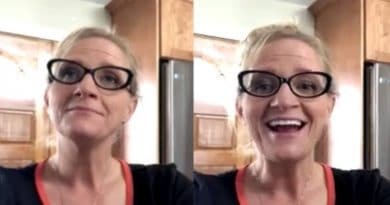 Sister Wives fans might remember back when Robyn was getting ready to join the family in 2010. 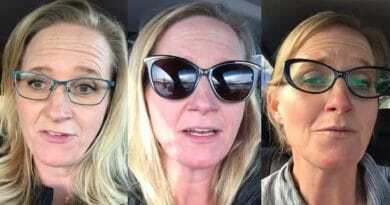 Back then, the three Sister Wives spouses went shopping together to purchase a ring for Robyn. Remember the Wedding Gift Shopping? 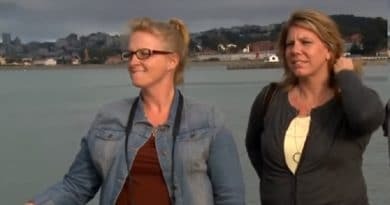 Meri Brown, Janelle Brown, and Christine Brown presented the Claddagh ring as part of a wedding present to the fourth spouse when she joined the Sister Wives clan. To Kody Brown’s wives, who all wear the same type of ring, this symbolizes unity among the women. A decade ago the then three wives of Kody Brown shopped for this ring style for the pending fourth wife. Seems the Utah jewelry store shut down for the TLC filming. The owner of the store couldn’t disclose anything about the design at the time. The producers of Sister Wives set up the shopping trip. It sounds like the owner signed a non-disclosure agreement with the network. She said at the time she signed papers with TLC so she couldn’t give out any details. Christine Brown wears the ring that Meri and Janelle presented to her when she joined the family as Kody Brown’s third wife. So it has a lot of meaning to all four wives. Many people who wear a Claddagh ring don’t use it as their wedding ring. Wearing this Irish ring one way symbolizes you have a partner. The other way means you are basically available. The way Christine has her ring on in the picture, it symbolizes she is in a relationship. The hands on the ring symbolize friendship, the heart means love, and the crown stands for loyalty. Worn with the crown pointing towards your heart on the left ring finger symbolizes you are engaged or married. When worn on the right ring finger with the crown pointing away from the heart. this means you are open to finding love or available. While Christine Brown’s manicure is eye-catching, so is that Irish ring on her finger. Keep on top of Sister Wives comings and goings with Soap Dirt. ← ‘General Hospital’ Spoilers: Kim Says Goodbye To Oscar – Jordan Gets His Kidney?